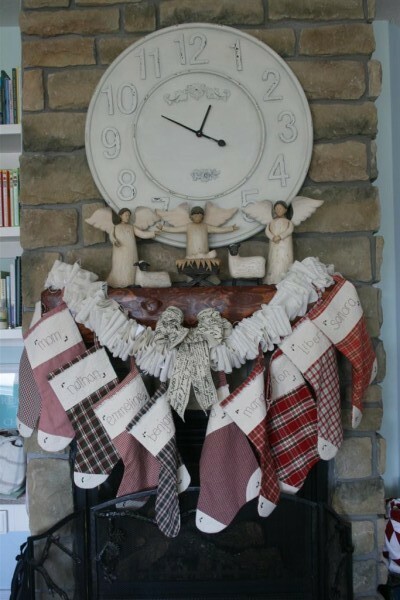 The tenth stocking is finished. It was one of those projects that took only an hour or two to finish, but three years to start! So silly of me. 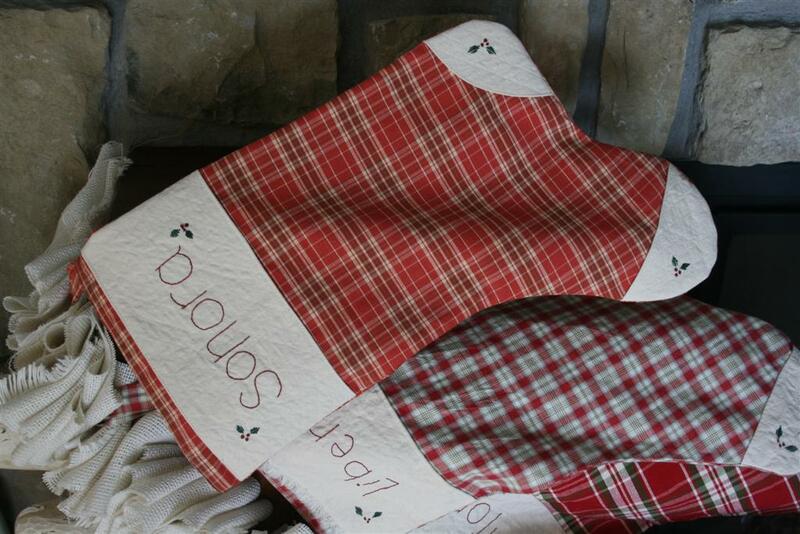 Years ago when I started making stockings for my children, I knew we wanted to have a large family. 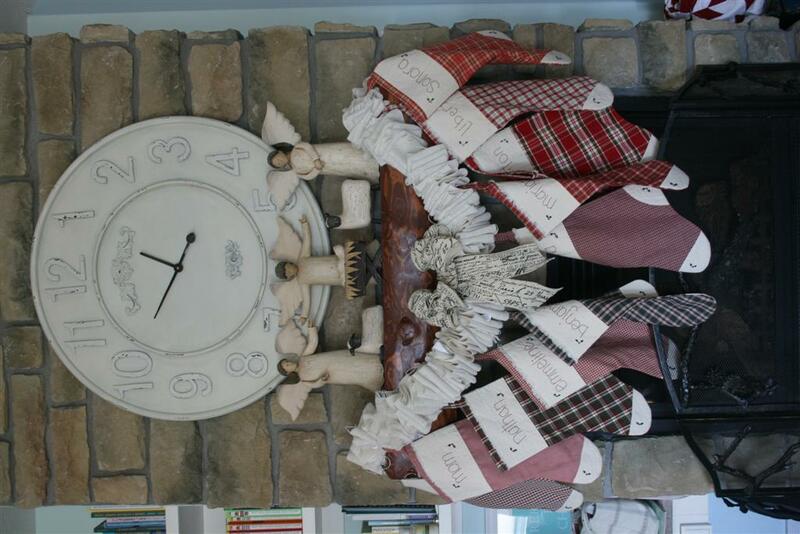 I also knew I wanted stockings that would somewhat coordinate and I needed something I could add to over the years. I settled on plaids. 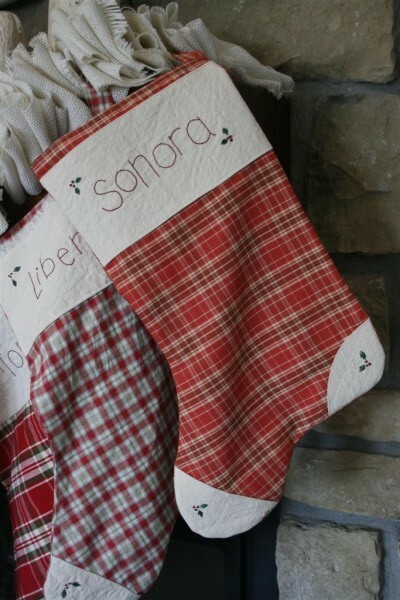 Each stocking is made with a different Christmas plaid, and I simply tucked away the fabric for the toe, heel and name across the top. And so all ten of them are finished, after some very persuasive, loud and insistent demands from the little girl whose stocking didn’t match.